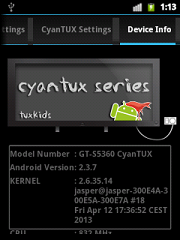 Custom rom CyanTux Series Galaxy y – Selamat pagi teman.. kali ini kami posting custom rom galaxy y , yaiutu custom rom CyanTux Series .. 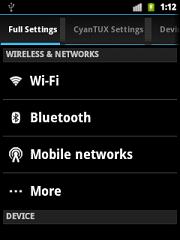 This Custom Rom is only meant for Samsung galaxy y model gt-s5360. Use it at your own Risk we will not be held responsible for what ever happens to your device. The information provided here is only for instructional and educational purpose. o Then Go back and select install zip from sd card… then choose zip from sd card then choose the Rom.zip from sd card….. Note : It takes more time to first boot! don’t panic just wait.